The retreat will emphasise Theravada teachings and practices, especially those of the Thai Forest Tradition of Ajahn Chah, alongside the teachings of Master Hsuan Hua from the Chinese Mahayana Tradition. Throughout the retreat there will be an interweaving of Theravada and Mahayana streams that co-inform each other and present an integrated whole. The practice will focus on cultivating embodied samadhi – calming and unifying the mind/heart/body energies, wisdom practices – vipassana – and an exploration of the relationship between calm and insight as foundations for realization of the deathless Dharma. The Mahayana focus, supported by the foundation in Theravada, explores the Bodhisattva Way through the cultivation of the Kuan Yin dharmas, the archetype of compassionate wisdom in Mahayana, known as the "One Who Listens to the Sounds of the World at Ease." The Bodhisattva heart balances the "letting go" practices of Theravada with "picking up" a skillful and compassionate relationship to the world. 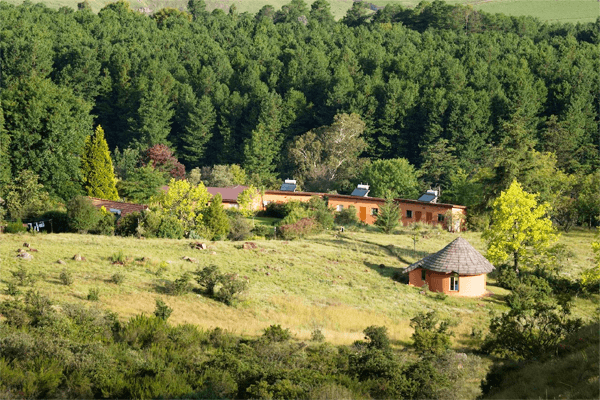 The retreat is held in silence, and includes meditation instruction, Dharma talks, Qi Gong, a devotional and ceremonial practice. Each participant will have meet with Kittisaro and Thanissara teacher for individual guidance. Attendance at the retreat requires previous experience of long silent retreats (minimum 10 days) with either Kittisaro and Thanissara, or Insight teachers and a core familiarity with Thervada / Insight teachings and practices. Kittisaro - a graduate of Princeton and Rhodes Scholar, ordained in Thailand with Ajahn Chah in 1976. He was a monk for 15 years, during that time helped found Chithurst Monastery and Devon Vihara in the UK, trained monks, was a prison Chaplain, and taught extensively. He has taught internationally for 35 years. With Thanissara, he was guiding teacher at the Buddhist Retreat Centre, Ixopo from 1995 – 2003, and co-founded Dharmagiri Sacred Retreat Centre in 2000. He has studied and practiced Chan and Pure Land for 35 years, informed by the Chinese school of Master Hua, and has completed two year long silent self-retreats. With Thanissara, he is co-author of Listening to the Heart, A Contemplative Journey to Engaged Buddhism. Thanissara - started Buddhist practice in the Burmese school in 1975. She was inspired to ordain after meeting Ajahn Chah and spent 12 years as a Buddhist nun, where she was a founding member of Chithurst Monastery and Amaravati Buddhist Monastery in the UK. She has facilitated meditation retreats internationally the last 30 years and has an MA in Mindfulness-Based Psychotherapy Practice from Middlesex University & the Karuna Institute in the UK. With Kittisaro, she was guiding teacher at the Buddhist Retreat Centre, Ixopo for 7 years, co-founded Dharmagiri Sacred Mountain Retreat and helped initiate and support a number of rural development projects in South Africa. She has written several books, including two poetry books. Her latest book is Time To Stand Up, An Engaged Buddhist Manifesto for Our Earth. Currently only waiting list available.